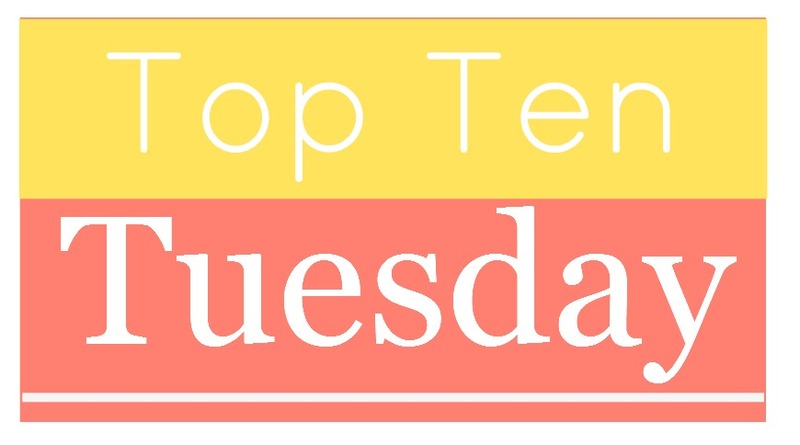 This week was all about the creepy --whether or not you chose Top Ten Books To Read During Halloween or Top Ten Creepiest Covers! 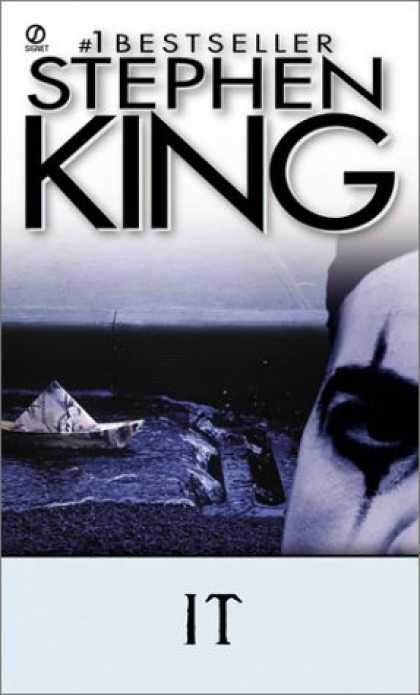 Bridget's Pick: Since horror is pretty much my favorite genre, this is kind of hard for me, but in the end I think I'll have to go with the easy one: IT by Stephen King. It's super long, but it's a deliciously scary tale of 7 kids who band together to fight the monster that feeds on their town. Definitely a great Halloween read! And if you REALLY want to be scared, buy one of the 25th Anniversary Editions that have black and white AND full-color illustrations. 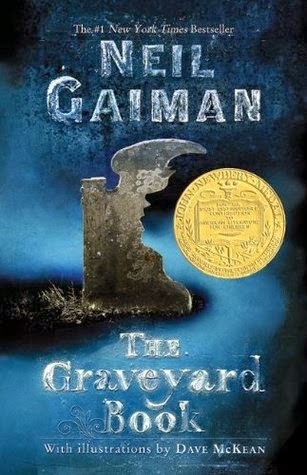 Jen's Picks: The Graveyard Book by Neil Gaiman - I'm not a fan of scary books so The Graveyard Book won't make you jump with fright. But I loved the story of Nobody Owens, a boy who is raised in a graveyard by ghosts. The Halloween Tree by Ray Bradbury: Growing up my grandma would get this book out every October and we'd read it at least three times before the month was over. It was a tradition between her, my brother and myself. 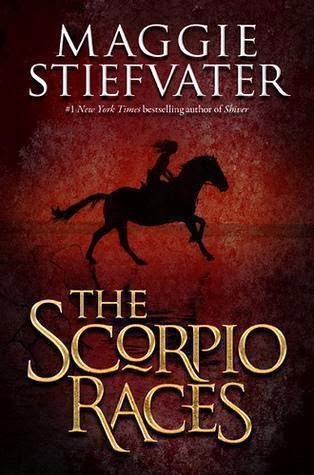 The Scorpio Races by Maggie Stiefvater: If you don't like scary but want something that is so atmospheric and just FEELS like Fall? The Scorpio Races is beautifully written and um KILLER HORSES. 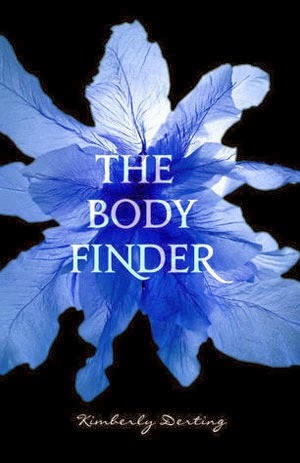 The Body Finder by Kimberly Derting: I wouldn't say this is SUPER scary but it is a little creepy. Great YA series to read around Halloween that follows a girl who can hear the echos of dead people. 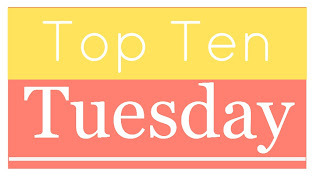 Ten by Gretchen McNeil: Did you use to love slasher-y type RL Stine or Christopher Pike books? Pick this one up if so! The body count is high and you are always trying to guess "whodunit". Rebecca by Daphne du Maurier: I love Gothic novels in the Fall and this one is one of my all time favorite books! Definitely a good one if you don't want something super scary or of the horror variety. Sorrow's Knot by Erin Bow: this books reads like a dark kind of fairytale and some of it was SO CREEPY! I think it'd make for a perfect Halloween read! I am not a person who likes to be scared. So horror is not my genre, but this October and lead-up, I have been gravitating toward Steampunk. I read Kiss of Steel and Heart of Iron by Bec McMaster. Both were enjoyable. The Iron Duke by Meljean Brook I think would be another really good Steampunk read for October! I hear the rest in that series are excellent as well! Have any of these on your list? What books would you suggest for us to check out for good Halloween reads?? I have It on my list, too, and I used a selection of that book's covers. The scariest one, for me, is the one with Pennywise's full face shown. I LOVE The Graveyard Book! I have to say, Nobody Owens is probably one of my favorite child characters of all time. Excellent choices! Yay #59 on the list. got posted early (or late) tonight. Will go through and comment on at least 10 posts tomorrow afternoon. I love Neil Gamain and you are right about Rebecca--so mysterious. fun list for Halloween. I felt kind of weird about putting Rebecca on my list - Glad y'all agree that it deserves a spot. Mrs. Danvers is scary! Ooh, Rebecca is one of my favorite books ever! I'd like to recommend "Night Film" as the perfect creepy Halloween book. I couldn't put it down--and couldn't read it late at night! "It" is gruesome and absolutely amazing! "It" is on my list of Scariest Book Covers. Loved the TV movie. Almost anything by King is guaranteed to creep me out. "The Graveyard Book" sounds fascinating. I think I might check out The Body Finder at some point. I don't really read scary novels but I found a few to put on my list anyway. Interesting topic. I totally forgot the graveyard book! I'm currently reading THE GRAVEYARD BOOK! So far so good! Awesome list! I love this holiday so much! I have IT on my list too! All great picks! The Graveyard Book almost ended up on my list too. The Graveyard Book is on my list too! Oh it isn't horror. I apologize if that sentence was confusing haha. It's Gothic but not horror! Glad The Graveyard Book showed up on your list - it's gotta be my fave Halloween-themed read. I chose scariest looking book covers- I only just now remembered to link up, though! I've got two books by Stephen King on my list - no Halloween list without him ;) "It" is one that I'm still planning to read, and "The Shining", and "Pet Cemetary", ... there are so many. Who knows if one day I'll be brave enough to start tackling my King TBR. I came so close to putting the Graveyard Book but decided that I'm being just 'over the top' about Gaiman and so need to rein myself in!! I use every opportunity to chat about his books. Also, can't believe I didn't put Rebecca - one of my favourite reads. I loved loved loved both The Body Finder and Kiss of Steel. Good choices! Great list! I really need to read the Scorpio Races and Ten. Awesome list! I love all the creepy book suggestions! I'm pretty sure that I've added about 100 books!